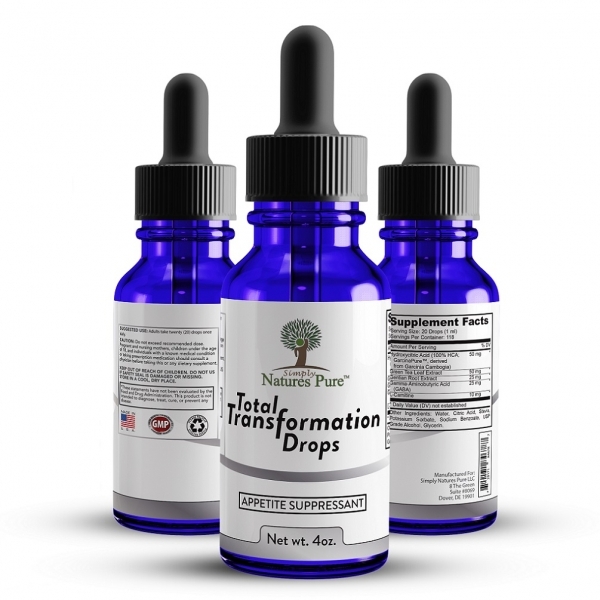 Slimming down the natural way is easier with Simply Natures Pure with a combination of appetite suppressant herbs that will fight away those hunger pains. Four ounces to last almost four months! Do you need a little push in the your weight loss plan? Do you need assistance in your weight management? Do you want to lose up to a pound a day? Or just looking for a appetite suppressant to control those cravings? 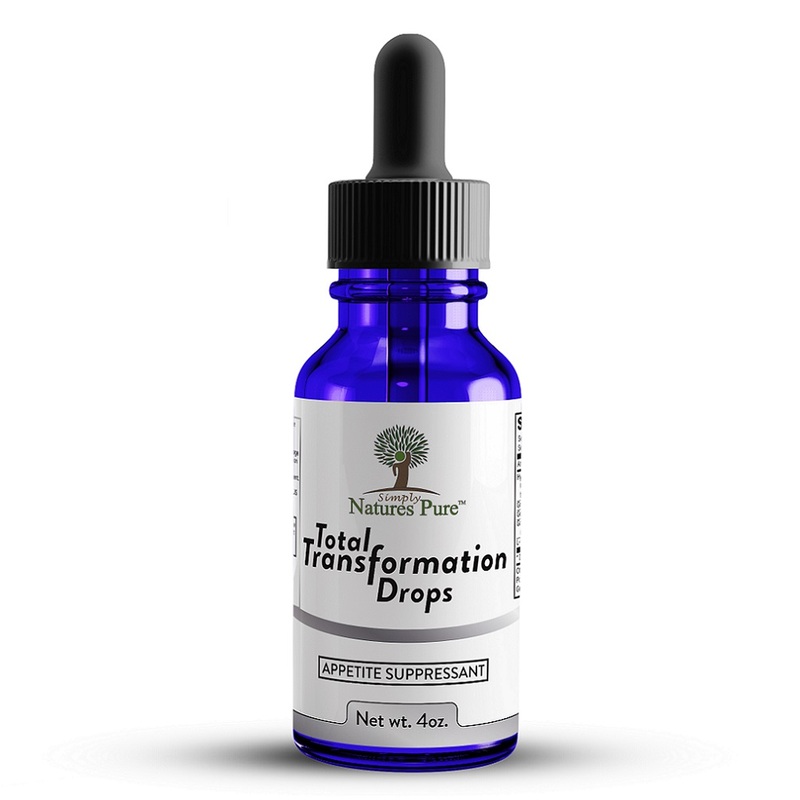 Total Transformation drops is key to your success! 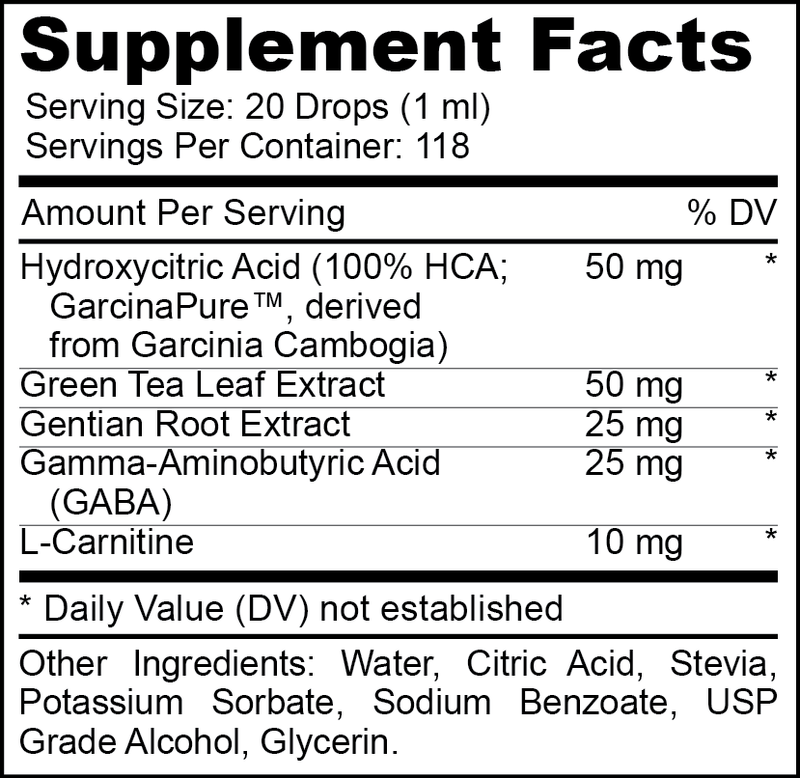 100% HCA GarciniaPure is a proven ingredient. Green Tea Leaf extract. 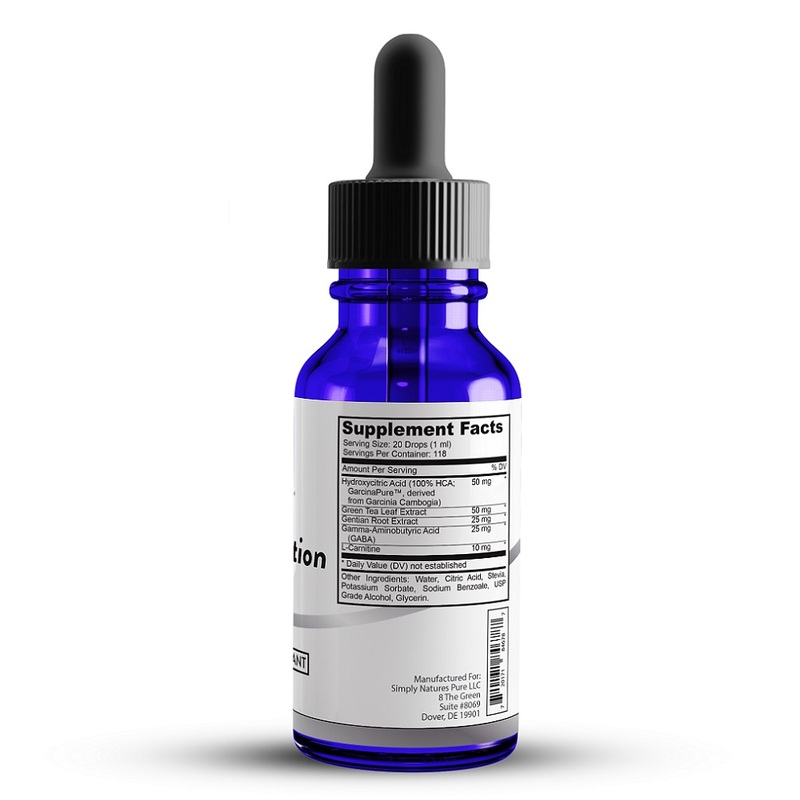 Gentian Root Extract. Gamma-Aminobutyric Acid. Take 20 drops in the morning once a day. 118 servings will last almost 4 months!